Dr. Ana Benedetti and Benedetti Orthodontics are a 2018 Elite Provider of Invisalign and Invisalign Teen in Fort Lauderdale. These clear braces are great for teens and adults who need their teeth straightened without wires and brackets. This approach has the advantage of being almost invisible. Provider designation, Dr. Benedetti must have 50 new patients that begin Invisalign treatment every 6 months. This means that we treat a minimum of 100 new Invisalign patients each year compared to the average Invisalign doctor who typically has 4-6 new Invisalign patients per year. We see many Invisalign patients in our office every day and it’s likely that we have successfully treated someone with the same situation as you! experience with the product, but we can assure you that if you are a candidate you can have Invisalign. We know what Invisalign is capable of. It may not be the right solution for all smiles and we can let you know that up front at your FREE Consultation before you waste any time or money. We are committed to keeping up to date with the Invisalign system of orthodontic treatment and the constant improvements in technology and techniques. Every Invisalign Premier Provider is required to complete at least 10 hours of continuing education every year to maintain their status. 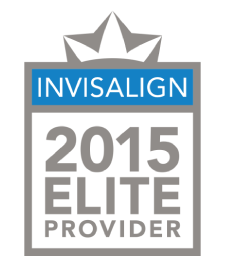 We are very proud that we have achieved Invisalign Elite Provider status in 2015 and look forward to achieving it again or greater in 2016!! Invisalign Treatment StepsInvisalign uses custom-made removable aligners. 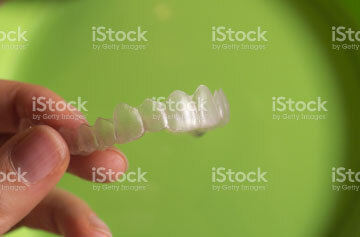 The aligners are made of a clear plastic so that they are almost invisible. No metal is needed to straighten teeth. The teeth will move gradually as the treatment plan progresses. It begins with the orthodontist using 3-D computer graphics to make a series of custom aligners. A series of precisely calibrated aligners are used in the treatment plan. Depending on what is needed, there could be anywhere from 12 to 48 different aligners. Each aligner is worn for around two weeks, and then the next aligner in the sequence is used. They can be taken out to eat, brush teeth and floss. Invisalign is used for misaligned teeth and teeth that are protruding. Teeth that are crowded or widely spaced also benefit from its use. The best way to know if they are right for a particular situation is to consult Benedetti Orthodontics, a preferred provider of clear braces in Fort Lauderdale. 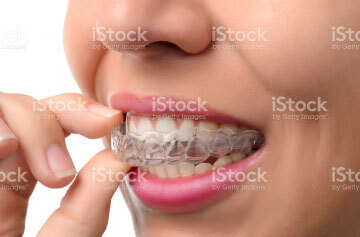 Teens love these clear braces in Fort Lauderdale because most people do not even know they are wearing them. There is no need to be self-conscious while talking, smiling and laughing. Straightening teeth during the teen years gives youth the opportunity to enter the workforce without the worry of exposing misaligned teeth. The most obvious advantage of clear braces is that people are less self-conscious because they are almost invisible. This beats the metal and brackets used with traditional braces.The plastic is smooth; this makes them comfortable to wear. Metal braces have wires that irritate and poke the inside of the mouth. It is nice to be able to take the aligners out so that they can be cleaned. They can also be removed when eating and brushing. Since they are removed while eating, people can eat whatever they want. Metal braces make it difficult to brush and floss. There is the disadvantage that some foods cannot be eaten with traditional braces. Our Patients who have used Invisalign braces in Fort Lauderdale have had fantastic results, including increased self-confidence. 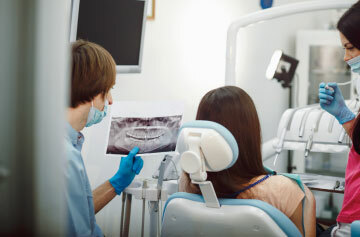 A consultation is the first step to wonderful smile. Now teens don’t have to worry about embarrassing metal braces in their yearbook photos or Facebook profiles – introducing Invisalign® Teen! Invisalign® Teen is the clear way to straighten teeth without metal braces, using aligners. Aligners are removable and clear, which means you can straighten your teeth without anyone knowing. You can still eat and drink what you want. Also, you can brush and floss normally to maintain healthy gums and teeth, and there are no wires, metal or brackets to cause mouth abrasions. We went to leading orthodontists, parents and teens themselves to custom-design an Invisalign system just right for the dental needs of teenagers. With blue-to-clear color-changing aligners to show how long each aligner has been worn, six free replacement aligners in case some are lost or broken, and other changes designed to accommodate growing mouths, Invisalign Teen is the perfect teeth-straightening system for today’s teens’ busy lifestyles! I’ve hadInvisalign Teen for just over two weeks now, and I’ve already noticed s difference in the straightness of my teeth. It looks great. I mean they really are invisible. So you can’t even tell.You can go about your daily life and not worry about how the look. Clear way to straighten your teeth without braces.